OKC’s Inaugural Party & Event Expo Set! Planning an event can be hard work. Where would you start planning events that range from a backyard cookout to a black tie gala? How would you find everything you need to put on a wedding, awards reception or holiday party? 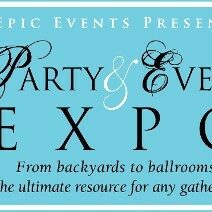 Professional and DIY event planners can find these resources and more at the Party & Event Expo. Oklahoma City’s top party and event professionals will be under one roof with the latest trends and ideas to help take the stress out of planning any event. The Party & Event Expo will be held at the Cox Convention Center in downtown OKC on Tuesday, October 8th from 3:00 – 8:00pm. The Party and Event Expo is the largest single place for planning and production resources, vendors and venues. From standard items to hard-to-find and unique, the Party and Event Expo will have it all. It doesn’t matter if you’re a full time professional or want to host the best parties on your block; there will be lots to see. Bridalifestyle Magazine will also be presenting the Bliss & Bubbly Bridal Lounge, an entirely new concept from the typical bridal show. Brides-to-be will have the opportunity to meet great wedding merchants and be stimulated by gourmet food and wine pairings, complimentary makeup trials, manicures, massages and more. The Bliss & Bubbly Bridal Lounge is included with admission to the Party & Event Expo. Details are at bridalifestyle.com/bliss. Tickets are $10.00 each and may be purchased at partyeventexpo.com or at the door. Non-profits are offered a special discounted rate of $8.00 per ticket and may be purchased by calling Nicole Thomas at 405.706.7484. The Party & Event Expo is sponsored by Epic Events, Conventions & More, Cory’s Audio Visual Service, The Journal Record and Mercedes-Benz of Oklahoma City. For additional information and to purchase tickets, please visit our website at www.PartyEventExpo.com or call contact Nicole Thomas by phone at 405.706.7484 or by e-mail at Nicole@epiceventsok.com.